Temple of Literature is dedicated to worshiping Confucius, which is a popular practice in many Asian countries, such as China, Vietnam, Korea and Japan. 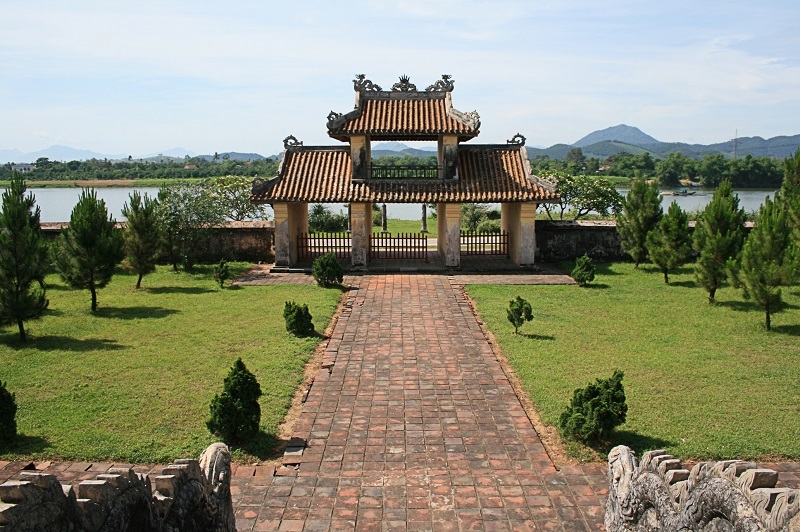 In Vietnam, apart from the most well-known Temple of Literature in Hanoi, some other cities also constructed their own Temple of Literature. The south-facing monument was built in 1908 during the reign of King Gia Long, on the top of the hill. Over the years afterwards, the temple has gone through several major restoration works. The remaining complex consists of about 50 architectural works, the biggest of which is the worshiping hall of Confucius. Outside at the main gate of the Temple, by the riverside, there are four tall and majestic pillars. There is a large sign hung high above, with the words “Dao Tai Luong Gian” (The principles of the world) and “Trac Viet Thien Co” (Higher than ever before) written. After going past the gate, there are several small houses where kings and mandarins would stop by to prepare their outfits before going inside to attend the ceremony. 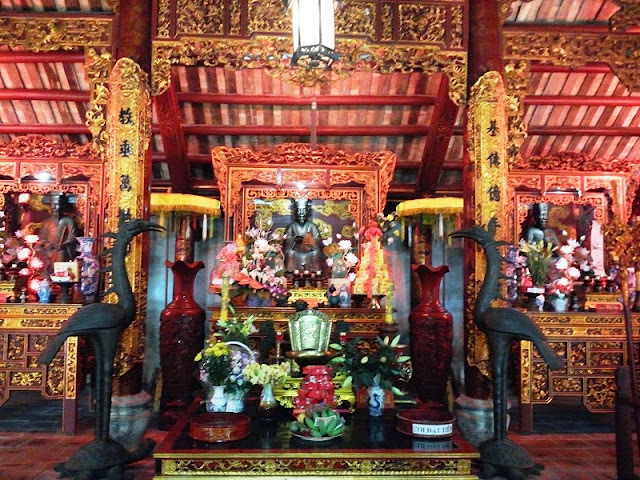 At the front are two rows of 32 preserved steles bearing the names of 239 successful candidates in National Examinations organized through the Nguyen Dynasty. Although the monument was damaged during the war as French troops once used it as a barracks, the main temple and steles still remain. 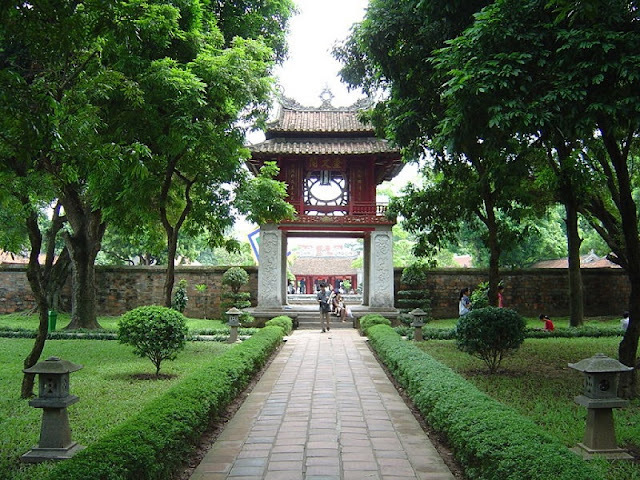 Today, people visiting the Temple of Literature can see a unique symbol of Vietnam's educational system during feudal times. The construction of the temple as well as the placement of the doctors' steles shows everlasting respect to the country’s talented people and traditions of culture and education. 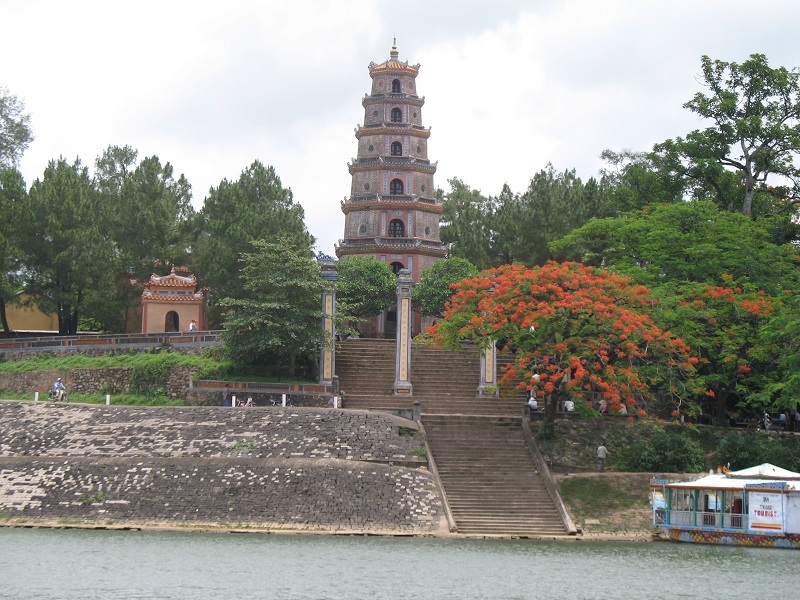 Tourists visiting Thien Mu Pagoda can spend more time coming to this site, which is on the same road. People can travel by car, motorbike or bike as well. Admission is free and there’s hardly anyone who looks after the site.